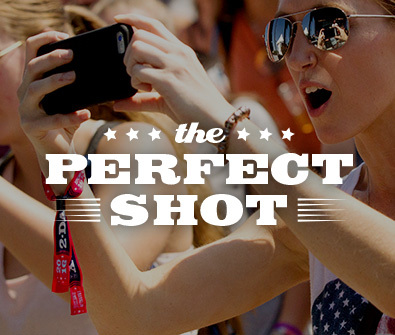 Ever wonder how your friend got that perfect shot at Pilgrimage last year with just their phone? Luckily we enlisted one of our brilliant Pilgrimage photographers Jason Myers to get tips on how to take the best phone photos at a music festival. With these helpful tips you’ll be able to capture and share your favorite moments from Pilgrimage this year! 01. Look for good and interesting light: All cameras, including smart phone cameras, need good light to help get a "properly" exposed image. Look for light that hits your subject (person, place, thing) in an interesting way. 02. Take more pictures than you think you’ll need and edit later: Lots of times we snap a pic with our phones and realize we should have taken a couple more. The law of averages applies here. Take lots of photos and delete the images you will never share or post. Meet Cody Huggins, our 2017 #PlayAtPilgrimage Winner! This year’s #PlayAtPilgrimage contest, presented by INFINITI, was our biggest one yet with more than 900 submissions via ReverbNation. 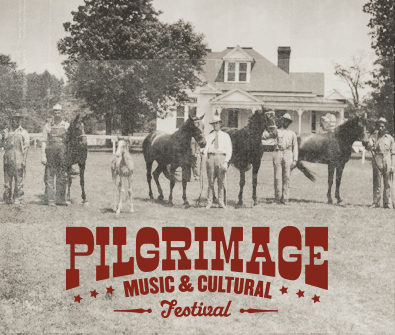 For those unfamiliar with the contest, it is an opportunity for local artists to submit their songs for a chance to perform at Pilgrimage and be part of the 2017 lineup! This year we are excited to announce that the winner is Cody Huggins! Huggins latest album, See For Days, was released this spring and is a must listen for fans of Pilgrimage artists Ryan Adams, Gary Clark Jr., and Colter Wall. Huggins’ music is reminiscent of classic roots rock, featuring power-pop acoustics mixed with four on the floor rock and roll. One Thanksgiving evening, after indulging in too much turkey, a stuffed musician went for a jog and caught a gorgeous Tennessee sunset over Harlinsdale Farm in Franklin Tennessee. As soon as he got home, he told his wife that he had to start a music festival. That musician was none other than Kevin Griffin of Better Than Ezra and that festival is now known as Pilgrimage Music & Cultural Festival. As Pilgrimage enters into it’s third year, we thought we’d check in with Kevin Griffin to get his five favorite Pilgrimage Moments. Every year, we recruit an all-star cast of volunteers. From the VIP lounges to the info booths, our friendly and reliable volunteers are there to help! At the frontlines of our volunteer program is the energetic, always smiling, leader - Shannon McGee. 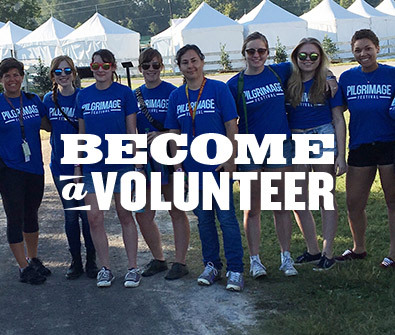 This week on the Pilgrimage Gazette, we’re putting the spotlight on our volunteer coordinator and giving you an inside look at the Pilgrimage volunteer experience. 1. How long have you been the volunteer coordinator with Pilgrimage Fest? This is my third year working with Pilgrimage Festival. I work with volunteers all over the country and I can say that the PMCF volunteers are the hardest working and most beautiful-hearted volunteers out there! Keeping our littlest festival goers happy is a Pilgrimage priority! 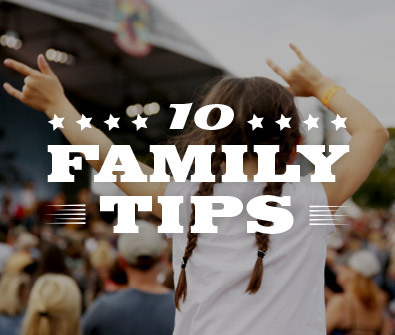 Since day one, Pilgrimage prides itself on creating a festival that caters to the entire family and this year is no exception! We've added new additions like The Mom Spot by Baby + Co, that will provide a private nursing/changing lounge for moms. We also have more interactive activities for the kids like sessions in improv, a songwriting workshop and more! Don't forget - entrance is FREE for all children 10 and under when accompanied by a GA-ticket holding adult. Pilgrimage Music & Cultural Festival is known for it’s great taste in music, food, and culture and it wouldn’t be complete without it’s community! The two-day festival takes place in the heart of beautiful Franklin,Tennessee. This classic town is home to a Great American Main Street and leaves you feeling like you’ve stepped into a real-life Norman Rockwell painting! 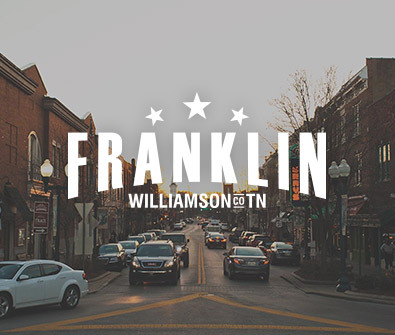 If you’re a local looking to explore or just visiting for Pilgrimage, our friends at Visit Franklin are giving you the 10 must-visit spots in Downtown Franklin! 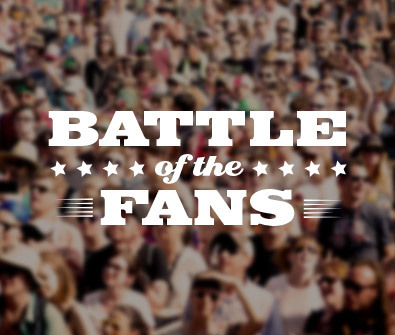 Battle of the fans! We wanted to know which Pilgrimage 2017 artist y’all had seen the most and your responses exceeded our expectations. One fan had seen The Revivalists over 20 times, another had seen The Avett Brothers 48 times, and another had seen Better Than Ezra 76 times. However, our Pilgrimage 2017 Super Fan saw Eddie Vedder over 85 times! We’d like to introduce you to super fan...Tracy Deaver! Q: Tell us a little bit about yourself. Where are you making the Pilgrimage from? Welcome to The Pilgrimage Gazette! As summer kicks into full gear, we’re reminded that our third annual Pilgrimage Music & Cultural Festival is less than 10 weeks away! 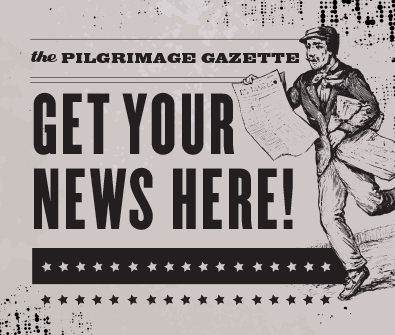 To celebrate, we’d like to introduce you to the newest addition to the Pilgrimage family: The Pilgrimage Gazette! Updated weekly, The Pilgrimage Gazette is your one stop resource for handpicked information about our local community, tips for having the best festival experience and much more. TICKETS: Have you been putting off purchasing YOUR single day Sunday pass? Don’t wait any longer. 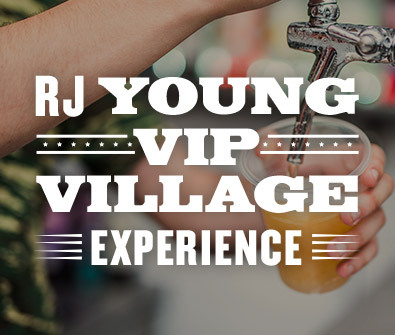 There’s only a limited number of tickets left to see Eddie Vedder, Ryan Adams, Amanda Shires, Valerie June, and many more at Pilgrimage Fest Day 2! Enjoy this exclusive mixtape featuring Shakey Graves, CAKE, Daryl Hall and John Oates, Blind Pilot, Better Than Ezra and others. Download Now! "The Sea and the Rhythm" LISTEN NOW! 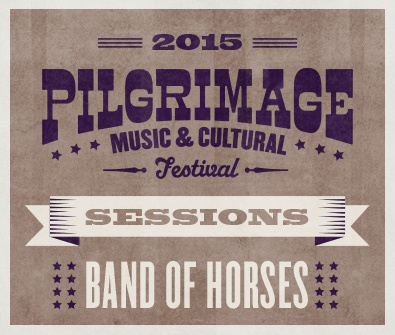 Check out our Pilgrimage Session with Band of Horses. Click above to stream their two song set "The Sea and the Rhythm" and "Dilly". "The inaugural Pilgrimage Music & Cultural Festival brought dozens of amazing artists to Franklin, Tennessee this past September. 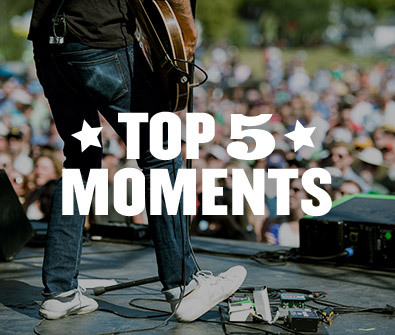 The stellar lineup included Wilco, Willie Nelson, Band of Horses, Steven Tyler, The Decemberists, Sheryl Crow, Chris Stapleton, Lucius, Dawes and many more, playing on four stages across a rolling farm over two days. Many of the up-and-coming bands at the festival joined us in the Dark Horse Institute studio at the festival to play a few songs, and we're excited to share the best of those sessions here!" "Drive Me Wild" LISTEN NOW! 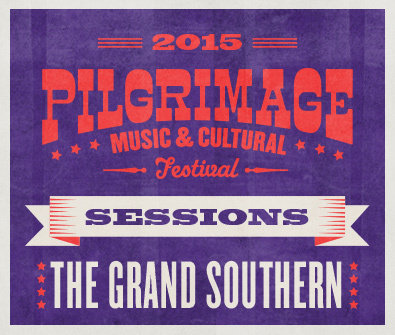 Check out our Pilgrimage Session with The Grand Southern. Click above to stream their four song set "Drive Me Wild", "Lorena", "California" and "Tears". "Give It Away" LISTEN NOW! "Be My Girl" LISTEN NOW! 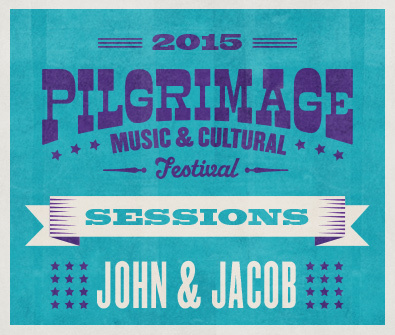 Check out our Pilgrimage Session with John & Jacob. Click above to stream their three song set "Give It Away", "Be My Girl", and "Onto Us". "To The Woods" LISTEN NOW! "Slip Slidin' Away" LISTEN NOW! Our next set features The Lone Bellow. 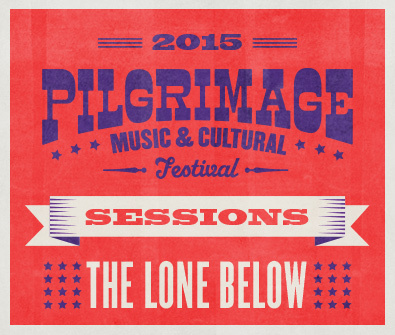 Listen to their Pilgrimage Session, which includes a cover of Paul Simon's song "Slip Slidin' Away." Click above to listen to their three song set "To The Woods", "Slip Slidin' Away" , and "Marietta". 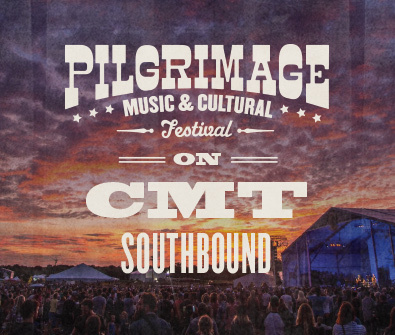 Don't miss Pilgrimage's segment on CMT's "Southbound". Airing tonight, November 10th, at 8pm CT on the CMT Network. "Down In Mississippi" LISTEN NOW! "Sorrow and Woes" LISTEN NOW! 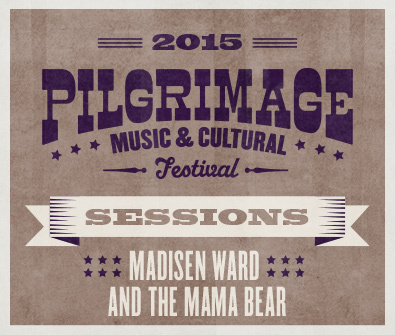 Our next Pilgrimage Sessions is with son and mother duo Madisen Ward and the Mama Bear. Click above to listen to their three song set "Down In Mississippi", "Sorrow and Woes", and "Fight On". "Don't Go Back" LISTEN NOW! "I Had It In Me The Whole Time" LISTEN NOW! "A Love to Call My Own" LISTEN NOW! Myrtle Beach native Stevie Woodward's session is a must for fans of Sheryl Crow; her music features that same blend of country, rock and pop sensibilities. Click above to stream her three song set "Don't Go Back", "I Had It In Me The Whole Time", and "A Love to Call My Own". "Little Bitty Dreams" LISTEN NOW! "Last Time I Do It, Til I Do It Again" LISTEN NOW! "Through Missing You" LISTEN NOW! 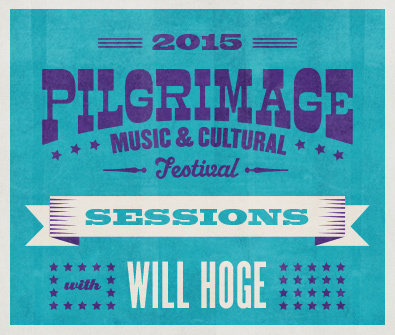 Our second one-of-a-kind Pilgrimage Sessions was recorded with Franklin’s own Will Hoge. 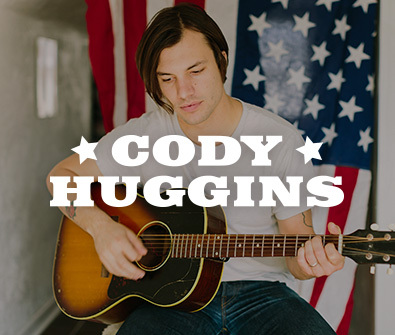 Click above to listen to his three song set "Little Bitty Dreams", "Last Time I Do It, Til I Do It Again", and "Through Missing you". 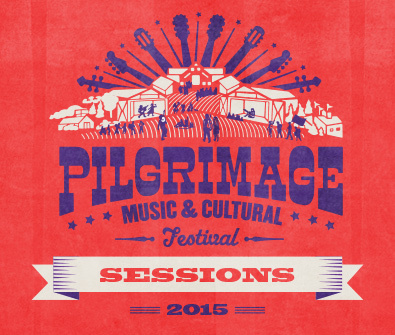 One-of-a-kind Pilgrimage Sessions with artists from our inaugural lineup, recorded across the road from the festival grounds. Our first session starts with Nikki Lane. Take a listen by clicking the link above. 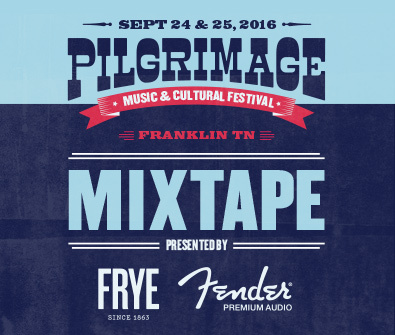 Grammy award winning band, Wilco, will make the pilgrimage to Franklin, TN for the first annual Pilgrimage Festival this September! 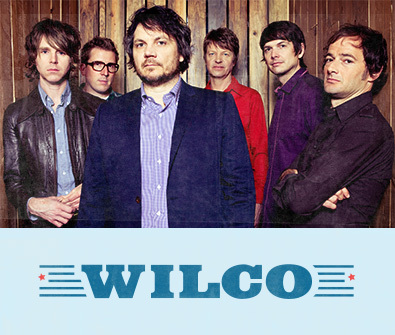 Wilco, a Chicago-based band including Jeff Tweedy, John Stirratt, Glenn Kotche, Mikael Jorgensen, Nels Cline, and Patrick Sansone, is best known for their experimental rock sound. Wilco has released nine studio albums, including A Ghost Is Born, which won two Grammy awards for "Best Alternative Music Album" and "Best Recording Package" in 2005. A total of five Wilco albums have been nominated for Grammys, most recently The Whole Love in 2012. Seeing as this is their 20th anniversary as a group, fans can expect a very diverse show featuring both classics and new hits alike. Holly Williams was practically born with country music in her blood. Holly Williams was practically born with country music in her blood. As the granddaughter of country music legend Hank Williams Sr. and the daughter of Hank Williams Jr., Holly has deep musical roots. Inspired by her family’s success and determined to pave her own way in the music industry, the youngest Williams released her first studio album in 2004, which preceded two more albums - one in 2009 and another in 2013. Her 2013 album, The Highway, was released on Williams’ own record label and debuted at number one on Billboard’s heat-seekers chart. 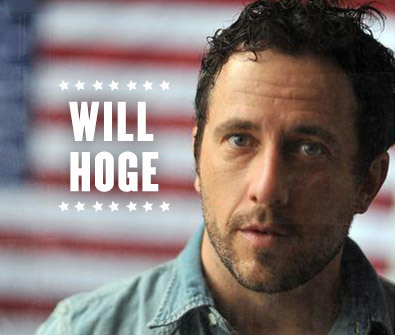 Grammy-nominated country artist, Will Hoge, will stun Pilgrimage Festival goers with his alternative ballads and soothing, classic southern twang. Hoge, a Tennessee native, first hit the music scene as a solo artist in 2003 when Atlantic Records released his debut album, Blackbird On A Lonely Wire. Hoge later self-released a few live albums in 2004 and 2005, while songwriting for many established artists in Nashville. Hoge’s life took an unexpected turn in 2008 when he was in a scooter accident in Nashville and sustained several broken bones, but later caught his big song writing break in 2009 when the Eli Young Band cut his song “Even If It Breaks Your Heart,” which went number one on the country charts. 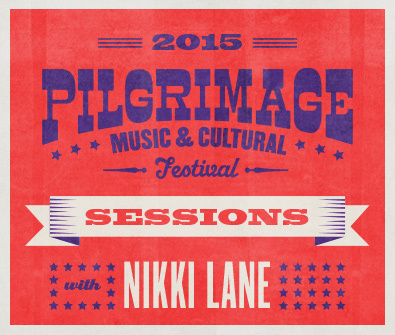 Don’t miss the opportunity to see a local legend at Pilgrimage Festival! 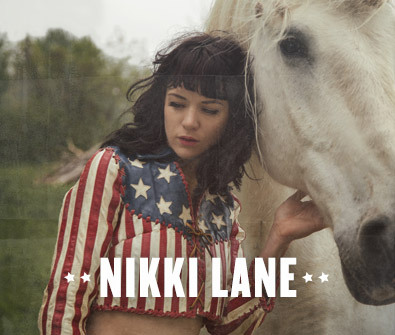 South Carolina native Nikki Lane is the epitome of the term “artist,” dabbling in both fashion and music. After dropping out of high school in Greenville, South Carolina, Lane worked as a fashion designer in Los Angeles and later in New York City. After breaking up with a country musician, she was inspired to begin writing her own country music. Lane’s songwriting brought her to Nashville, Tennessee, where she released her debut album in 2011. The album, Walk of Shame, was released on Iamsound Records and was followed by her second album, All or Nothin’, in 2014. Lane’s sound has been compared to American classic, Wanda Jackson, as well as fellow Pilgrimage Festival performer, Neko Case. 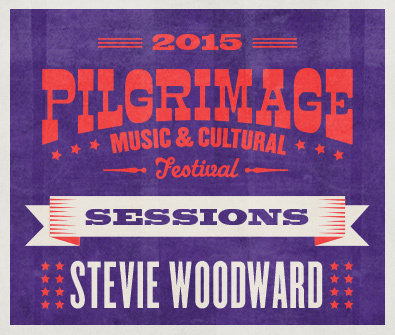 Don’t miss either at Pilgrimage Festival this September! 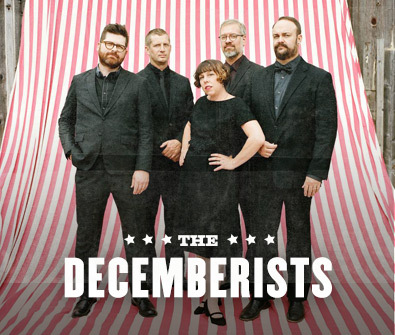 American folk rock band The Decemberists will take the Pilgrimage Festival by storm this September. The group, popular for their eclectic, live performances and unique lyrics, consists of five members and hails from Portland, Oregon. Fans can expect to see an array of instruments used throughout the show, including an upright bass, organs, and accordions to produce the band's unique sound. Following a tour with fellow Pilgrimage Festival performer, Neko Case, and the legendary Bob Dylan, The Decemberists released their sixth album, The King is Dead, which featured the Grammy nominated song "Down By the Water." Since receiving the Grammy nomination in 2011, the group has released two more albums; most recently, What a Terrible World, What a Beautiful World in January 2015. The band is currently on tour across the U.S.
Don't miss them at the Pilgrimage Festival in Franklin, TN! You might wonder where the name Pilgrimage came from… the definition means to make a journey. Hosting music that comes from the legendary “Gold Record Road;” New Orleans, the Mississippi Delta, Memphis, Nashville and many other places; a Pilgrimage will be made. Artists with deep roots in Franklin along with those who haven’t been there before, all coming together for this event. Born and raised in Louisiana, founders of Pilgrimage Music & Cultural Festival Kevin Griffin, Brandt Wood, and Michael Whelan were heavily influenced by the New Orleans Jazz Festival. Griffin, the lead singer of Better Than Ezra, has called the Nashville-Franklin area of Tennessee home for many years now. 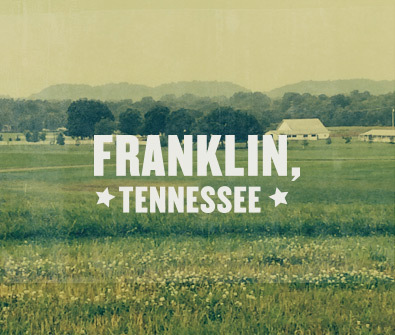 Franklin, TN is 22 miles south of Nashville and is widely known for the Civil War Battle that took place there. Franklin hosts thousands of tourists exploring American History every year, and over 60,000 residents call it home. Franklin has charm and southern hospitality while simultaneously being a place for innovation. Many Fortune 500 Companies are located in Franklin and it is listed as one of the Top 50 Places to Start a Small Business by Business Week Magazine. With family owned shops, historical sites, fine lodging options, and gorgeous scenery there is something for everyone visiting Franklin – including Pilgrimage Music & Cultural Festival! !